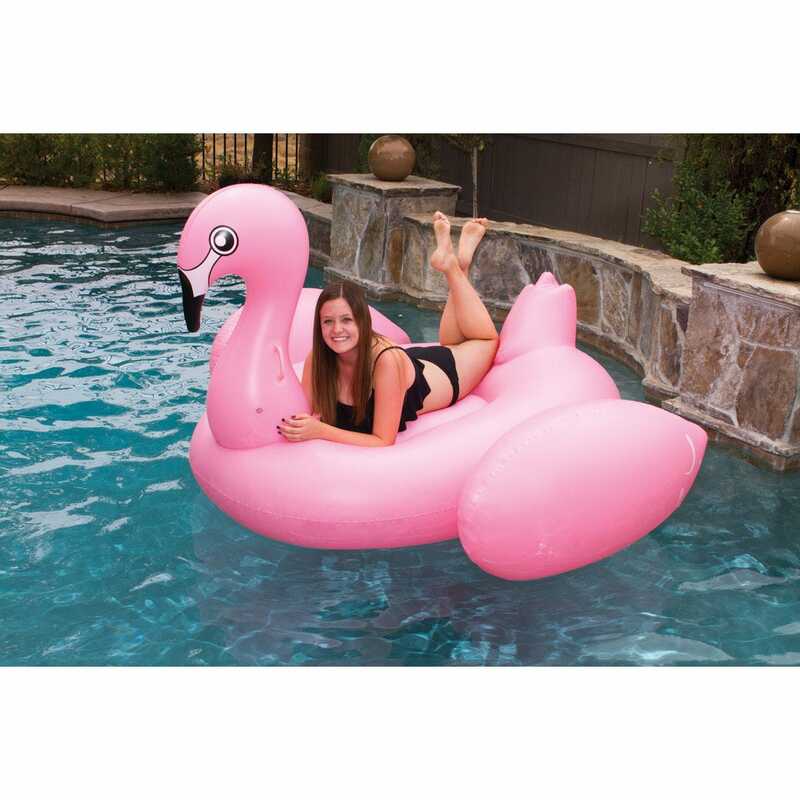 Turn your pool into a tropical paradise with a giant pink flamingo float. 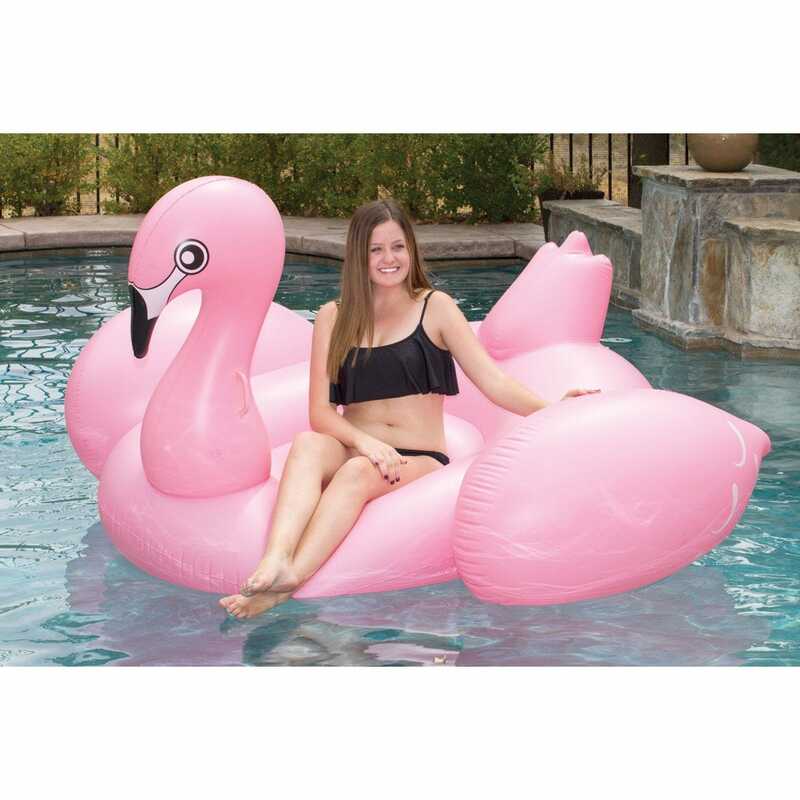 Why settle for a plain lounger when you can float on the back of big pink flamingo? 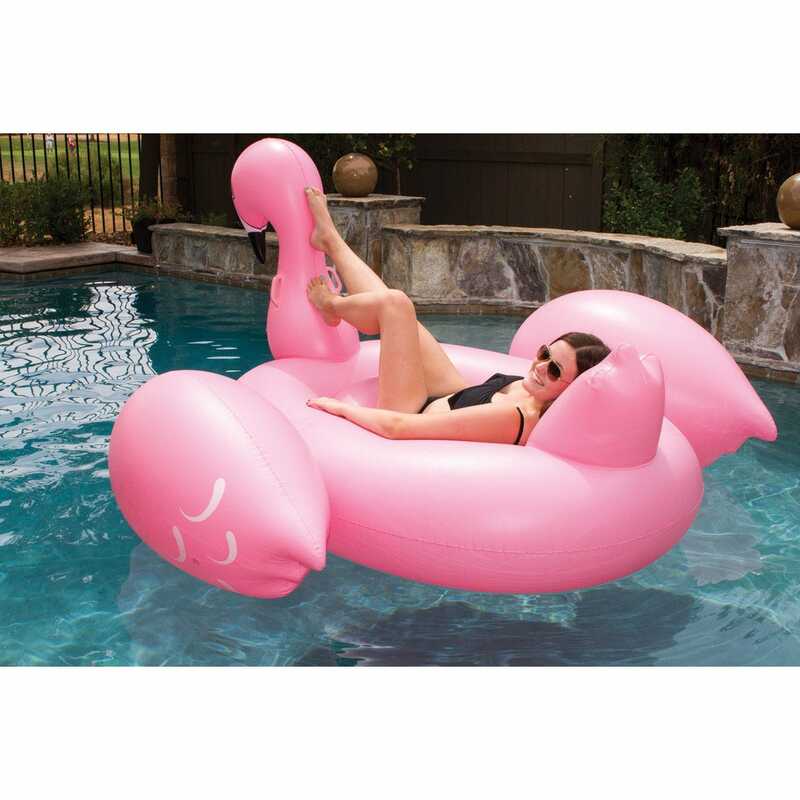 This giant flamingo float makes it easy to stretch out from one side to the other, or sit up and ride it like a horse. 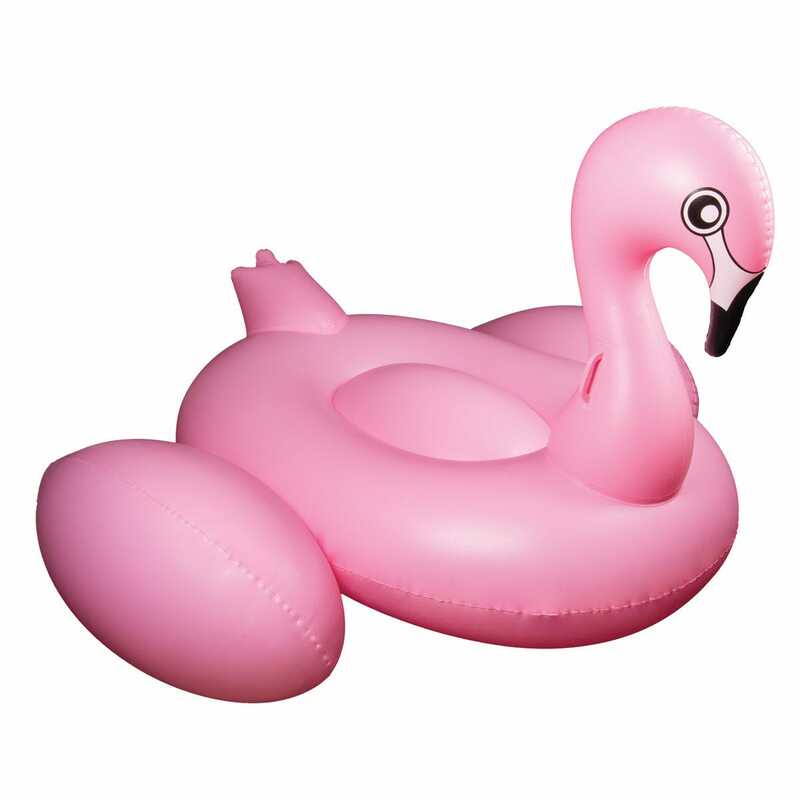 Either way, it’s a fun way to splash around in the pool with friends or just relax with a tropical drink. Measures 86 inches wide-75 inches long and 45 inches tall.